Mrs Jones Isn’t Going Anywhere,’ Minnie Dlamini On Divorce Rumors! 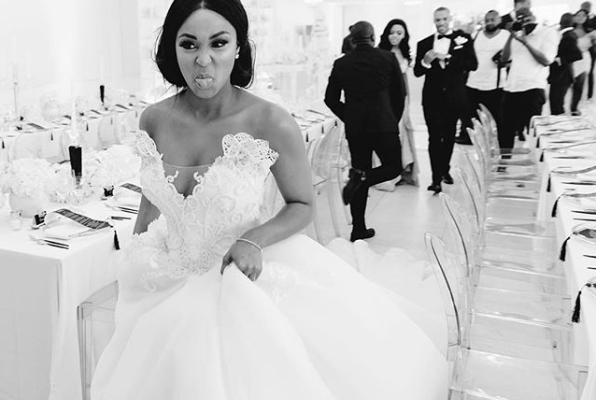 Since getting married in September 2017, Minnie Dlamini has been hit with all kinds of rumors targeting her marriage. If it’s not pregnancy rumors, it’s divorce rumors and alleged “public fights” with her husband. The media personality has had enough with the rumors and took to twitter to clap back. “First I’m getting divorced then I’m fighting in public with my husband. Mrs Jones ain’t going anywhere no matter what lies you try spread,” Minnie tweeted along with laughing emojis.